One of the more pervasive ideas about the foods that we eat is the notion that protein intakes above the Required Daily Allowances (RDA) are a health risk. This dire warning about higher than recommended protein intakes has been around for decades, but is it true? It has been debated for longer than I care to remember. Many of the studies that suggested higher protein diets may be a risk factor for increased rates of bone loss and may cause "stress" to the kidneys, have been shown to be false, having been replaced by more extensive and accurate studies. Interestingly, recent research has in fact shown potential health uses for higher protein intakes. Other studies continue to suggest that higher protein intakes during a diet may be superior to other diets for fat loss, though the use of high protein diets for weight loss is still a highly contested issue in nutritional and medical circles. One recent review study that examined the above issues called, "Optimal Intakes of Protein in the Human Diet" came to some interesting conclusions on the issue of protein and its potential health uses and safety issues. The study outlined an extensive body of recent data showing that high protein diets may in fact be beneficial for reducing blood pressure and stroke mortality (Millward, D.J., 1999). Though some early studies appeared to show higher protein intakes caused an excretion of calcium, which would ultimately lead to bone loss, recent studies have debunked that assertion. On the matter of bone loss, the review paper concludes, "for bone health the established views of risk of high protein intakes are not supported by newly-emerging data, with benefit indicated in the elderly." Interestingly, a large body of research is now showing that the elderly may in fact require higher intakes of protein that is currently being recommended (Campbell, W.W., 1994). 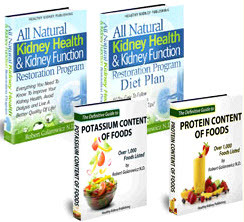 Regarding the potential for protein to stress the kidneys, though research suggests that people with pre-existing kidney disease avoid high protein diets, no data has ever shown kidney function to be compromised in healthy adults and the above review study confirms this finding. A recent study that examined the renal (kidney) function of athletes who follow a high protein diet- that is protein intake well above the US RDA - found no negative effects of a higher protein intake on the kidney function of these athletes (Jacques, R., 2000). So what's the take-home from the above? It is arguable whether or not athletes require additional protein to maintain their lean muscle mass and or maintain it, though most modern research appears to confirm they indeed should eat additional protein. The point being, regardless of whether or not athletes need additional protein, higher protein intakes do not appear to pose any health hazards to healthy active people. And higher protein intakes may in fact have health uses of their own as has been found in a plethora of emerging research.